Signed as a free agent on May 24, 2017. (Calgary) Rose played and started one game, a Week 14 contest in Hamilton. He recorded three tackles including one tackle for loss. 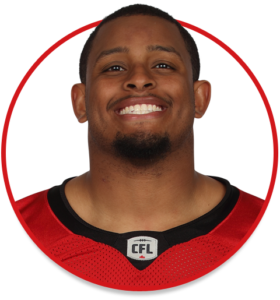 (Calgary) Rose played one game, making his CFL debut in Week 20 against Winnipeg, and recorded two defensive tackles. Rose appeared in 51 games over four seasons (2012-15) at North Carolina State. He recorded 121 tackles, 34 tackles for loss, 17 sacks and four forced fumbles for the Wolfpack. As a freshman, Rose blocked a punt which led to the game-winning touchdown against the third-ranked Florida State Seminoles. Rose was a three-year captain at Hillcrest High School in Simpsonville, S.C. He saw time on the offensive side of the ball in high school, registering four rushing touchdowns.